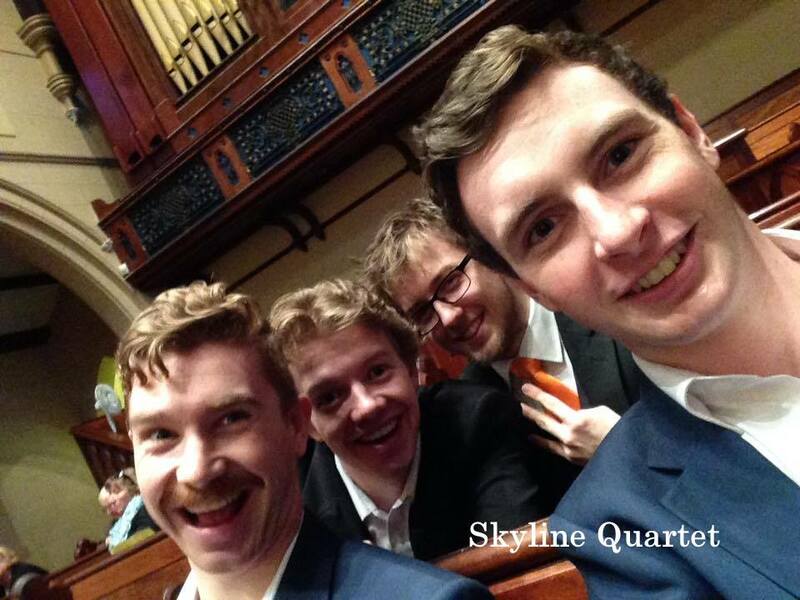 Catch up with all the happenings within our Regions, Clubs/Choruses and Quartets here. 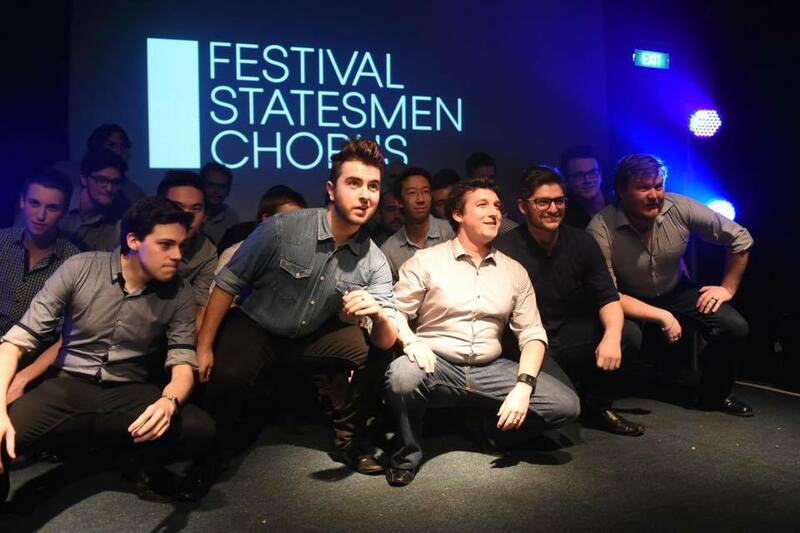 In June the Central Region sponsored a very successful Barbershop Section in the Adelaide Eisteddfod, a first for South Australia and possibly Australia, this was part of the Board’s ongoing initiative to bring Barbershop and A Capella singing to the public notice. The event, in two sections, was entered by seven choruses and three quartets with our esteemed Alex Morris judging. The event hailed as a great success by the Eisteddfod Society who are anxious for us to support it again next year. 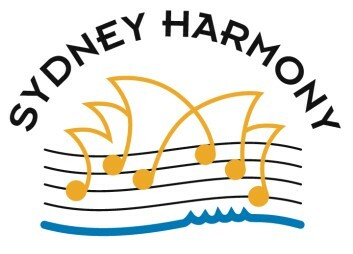 The Chorus winner was High Spirits Harmony ladies chorus, second place Adelaide Vocal Union and third place Adelaide Sound Connection ladies chorus and Quartet section, First Skyline, Second Mad Macks and Third Just AASK. 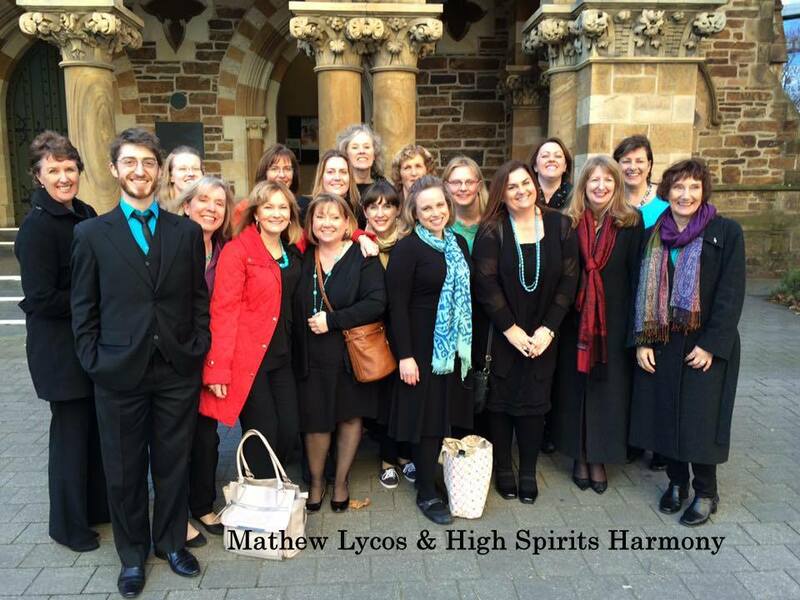 Having Alex in Adelaide, we also took the opportunity to organise coaching of some of the regions choruses and quartets. Unfortunately we had to cancel this year’s Barbershop Big Day Out due to a lack of participants, this being caused by a number of reasons, mainly a later date in the schools calendar year which clashed with other activities however planning has already started for next year with firm dates set. We congratulate our quartet Skyline and all the other BHA representatives who did Australia proud on the world stage at the recent Convention in Nashville. Congratulations also to Kieran O’Dea who returned with the best prize having popped the question to Kirsten Hill while in the US. There is plenty of activity around the choruses as they hold fund raiser concerts to go to Newcastle for this year’s convention and polish up their repertoires. Novatones Chorus recently accepted an invitation to attend the 80th Anniversary of the opening of a major Newcastle regional cemetery/crematorium, where we entertained those attending with several brackets of songs at several locations around the Crematorium grounds, including in front of the main chapel, where we squeezed in a few numbers - including (a bit cheekily) ‘ I’m Gonna Live, til I Die’! We were then asked to attend, and sing at, a respectful RSL ceremony for fallen soldiers, in the Anzac section of the grounds. Before the ceremony we delivered a solemn version of ‘The Irish Blessing’ then, after the short service, we thrilled the crowd with ‘I Still Call Australia Home’. 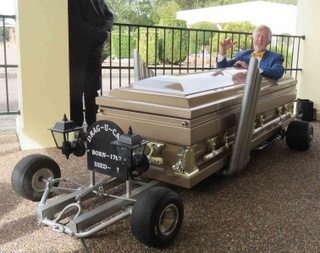 I was told that our rendition of ‘I Still Call Australia Home’ brought the grief-hardened Crematorium office-lady, to tears. Our next outing, held in conjunction with Soundwaves, will be a concert at the venue for the Nationals. It will afford us the opportunity to have a good look at the venue’s logistics, and a dry run at the revamped auditorium, thus ensuring the best possible experience for all delegates. After months of build-up, Unwrapped is finally here! 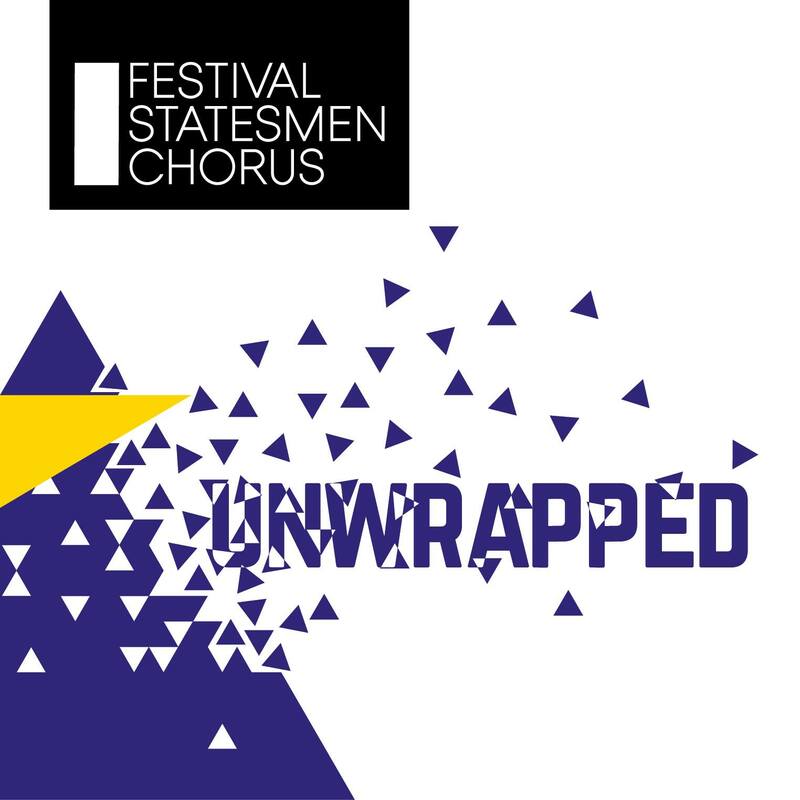 The second album from the Festival Statesmen is now out and available for purchase. To launch it we headed to The Producers Warehouse for our launch party in the Umbrella: Winter City Sounds festival, premiering three new arrangements: I Won’t Give Up, Can’t Stop the Feeling, and Canned Heat for our packed out audience along with some sample tunes from the album. Individual CDs are $20 and orders can be placed through festivalstatesmen@gmail.com. Orders can be posted (standard shipping fees apply) or picked up at Newcastle. 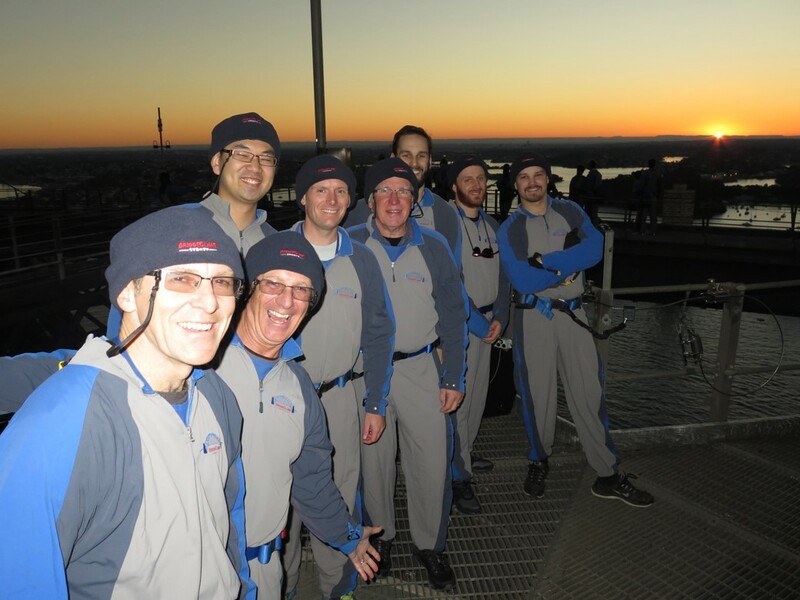 As part of our ongoing evolution, one of our big focuses is providing opportunities for our members to develop skills other than singing and Unwrapped was a great opportunity to put that into action. Ryan O’Dea recorded, mixed and mastered all the new tracks, while Mitre Khammash is responsible for the brilliant music video for the album’s flagship single Get Back. 5 arrangements from 6 different members were also sourced, making more than half the album’s content. We’re immensely proud of the result and to celebrate, we’re offering you or your chorus 10% off when you order 5 or more CDs in one transaction! As we prepare for nationals in Newcastle and welcome new members to the group, we’re also hard at work training a sub-group of our members for the AUS-ACA championships in Melbourne. We took the year off from competing there after our win in 2014, so we’re pretty keen on seeing if we can defend the title. Despite all that’s going on though, our eyes are firmly on the prize as we ramp up to the National Convention, and we can’t wait to show you all what we’ve been working on! 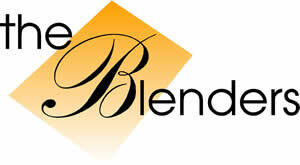 We have not been so busy since the last newsletter as the first 6 months of the year were at a very fast pace with us hosting the regionals, Voices in Paradise - a cappella youth workshop, ANZAC day, multiple gigs and our usual Citizenship Ceremonies as discussed in previous additions of the newsletter. Since the last newsletter we entertained at a special citizenship ceremony which was for over 150 new citizens and was supposed to be held in Southport’s China Town with an outdoor stage and a variety of multi-cultural performers. Unfortunately, we had storms and lots of rain so the event was transferred to the Arts Centre where we sang the traditional Australiana songs plus a large number from our repertoire. 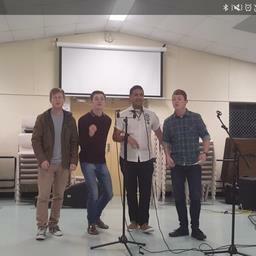 Our latest action in youth development was to fully sponsor 4 of our youth leaders to attend the Youth a cappella Harmony Academy in New Zealand. Two of the young men have finished their music degrees at the Conservatorium and will be now working in music education. 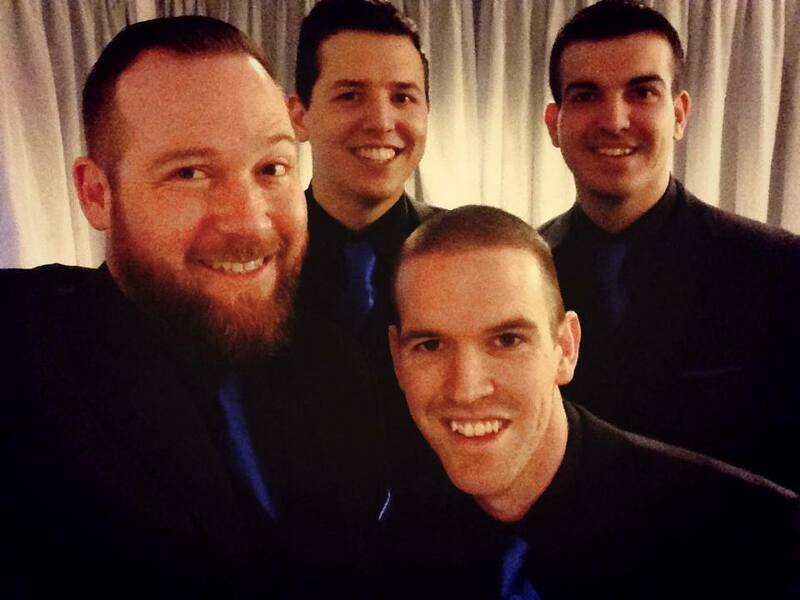 They were Hayden Bech lead, Ryan Chislett Bass, Dean Rowe Tenor, Alex Warr Baritone, they are in Quartets but not together. This is something we would like to do more of and hopefully we can in the future. It is a good incentive to step up to the mark if you want to be nominated. We have just returned from our annual camp at Maroon Dam Outdoor Education Center where we had 84 attendees some of those being wives, partners and children. We were fortunate to have Matt Gifford there to add his expertise to our already great team. The food was great, also the camaraderie. The traditional Saturday evening concert was very good with members strutting their stuff and showing us a different side of their personality, from poetry, singing, comedy, playing instruments - you name it, all sorts. We also had a fantastic sing- a-long as we have a number of very good guitar players. Matt Gifford got hold of one (the guitar not the player) and would not let go of it. If you have not heard him play you are missing out. I hit the hay around 1 to 1.30am – there was still lots activity still going on in the dining room. Ian Mackay normally submits our newsletter but he is away from technology at the moment so it is from me this time. Liam Dwyer was lucky enough to spend his 15th birthday as part of the “Sunset Serenade” team. A unique barbershop experience and something no other 15 year old has been able to do. Congratulations Liam. “Circular Keys” has graciously taken part in several of our previous concerts and we will have a chance to reciprocate in September when we perform at their “Sirens of Song” concert on September 16. We are working on several really exciting and beautiful 8 part arrangements for male and female voices. Being part of the combined ensemble is another Barbershop experience we are really looking forward to. Many members are travelling overseas during the winter. We welcome back those who were enthused, excited, invigorated and totally worn out by the International Barbershop Convention in Nashville. An International convention is a Barbershop experience many have on their bucket list so congratulations Tony Sykes and Gareth Hearn for chalking up another. We will be pleased when they are all home safe and rehearsing for Newcastle. See y’all there. 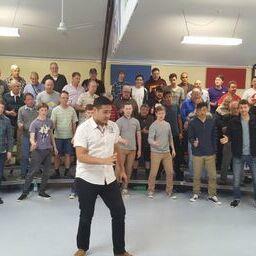 The Western Melbourne Men's Chorus uses creative learning techniques to bring newbies up to speed quickly and promote music notation literacy, even for total beginners. 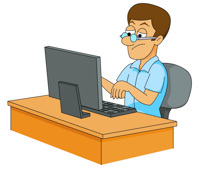 MuseScore is a free to download & use music notation software. MuseScore is to sheet music what a word-processor is to text. Chris (our musical director) uses Sibelius (commercial equivalent). If Chris has the music in Sibelius already, it's easy. Later versions of Sibelius support MusicXML which is to music what pdf is to documents – vendor independent. I split the music so there's a staff for each part – for two reasons. Firstly for newbies to music, it's easier to focus on your own notes. Secondly, MuseScore will play the staffs separately, but not parts. Not only does MuseScore allow you to enter music notation, but it will also play it for you. I make four audio tracks. In each track, one part balanced fully to the right speaker and the rest are directed to the left. Step (3) Make a video of the music playing. I use a screen capture program. (There are dozens available) I use one called 'easyScreenRecorder'. You have to fiddle a bit with page layout to get the best look. I use the 'OpenShot' video editor. You load the video track and one of the audio tracks, use the timeline and the preview to synchronise the audio with the video. Repeat step (4) for each part and you're done! It works because you get to hear the exact pitch and duration of each of your own notes, still in the context of the others and you learn to read sheet music in the same way a child learns a new language, not out of a text book but on the fly! We’ve found this vastly speeds the learning of repertoire and helps to engage new & potential members with minimal music reading skills. 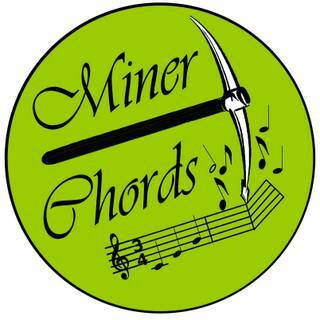 The last few years have been tough going for the Miner Chords but we have managed to finish off 2015 hoping that we have turned the corner. The highlight of the year without a doubt was the hosting of our Barbershop for Blokes Concert in aid of the Prostate Cancer Foundation. With the generous support of Benchmark, Blindside, Brisbane River City Clippers and Sound Connection we put on a concert of excellence with all patrons absolutely amazed at the standard or all performances including our own and assured us that they want to be at the next one planned for November 19 next year. Though, not as well patronised as we had hoped, given that we only had five weeks to bring it all together, we are very happy with the result. We have already had some contact from perspective new members and are hopeful that we can increase our membership while retaining all our very resilient current members. We wish all our brother choruses a safe happy and prosperous festive season. I’d put them up against the chords, that I’m supposed to ring. Perhaps I’d find the notes and words, I do and do not know! When my ear and voice do not connect, I find the learning slow. And I am singing quite wrong notes but that, I just don’t know! When someone else tells me this, I could be quite aggrieved. But I find that I’ve learnt much more, from those I have believed! I would sing right off the page, as the composer wrote! Alas those “simple” music scores for me, don’t play out loud. “I cannot read some music notes!” for me they’re dots endowed! There’s lots to learn, so little time, so much to get so right. I can hardly expect to learn it all, in just one over-night! My mouth shapes need some work, such is my learning phase. So mirror, mirror on the wall, please reflect my song. So other parts combine with mine, as chords and get along. A bright and shiny new dimension in, to songs we all can sing! BHA President Ian Mulholland presents membership longevity certificates to members of the West Coast Chordsmen from Perth who couldn’t attend the Melbourne convention. The first is Bruce Okely (30 years plus Life Membership certificate), then Len Aarnoudse (10 years), Kim Sebbage (15 years – blurred), John Brigatti (5 years) and John Friebel (5 years). 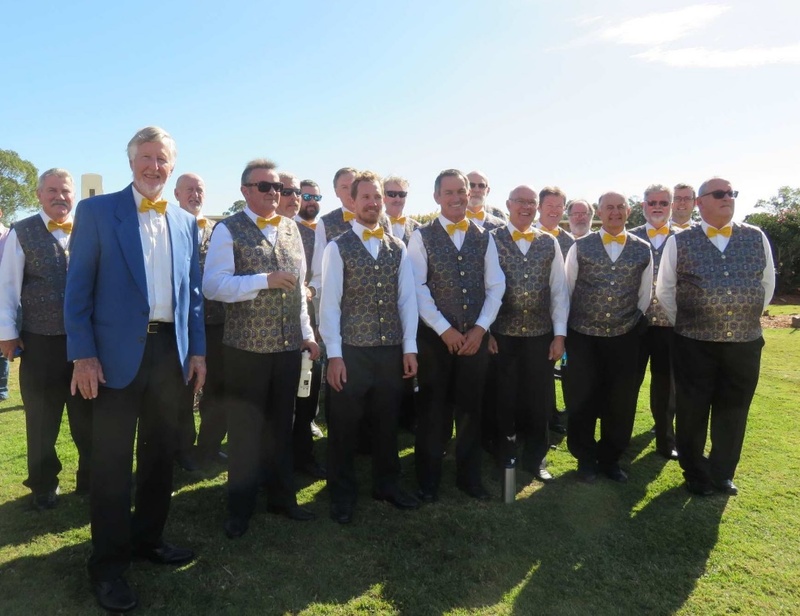 Fleurieu Harmony has had a busy couple of months, firstly competing in the first ever Adelaide Eisteddfod Barbershop Section and being jointly awarded the Strathalbyn Prize for a choir out of the metropolitan area over the whole choral sections. 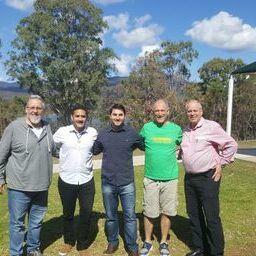 We were also pleased to have Alex Morris for a coaching session while he was in Adelaide. Over the next weeks we did several singouts at Retirement villages and a Nursing Home as well as a 100th Birthday. Then came a mammoth day starting with singing at our member, Reverend Bill Reddin’s church for morning service at Port Elliot on the south coast where we sang Wonderful World, The Lords Prayer, O Come Emmanuel & The Irish Blessing. This was followed by lunch at a members property at Victor Harbor before taking part in a Newcastle fundraising Concert for Adelaide Vocal Union and an afterglow at the The Crown and The Victor Hotel ,a very big day for all. Last Friday was our Annual General Meeting and the new officers are President Gordon Tomlinson, Vice President Bill Reddin, Secretary Valerie Tomlinson. A big vote of thanks was given to the outgoing officers and committee members for their tireless work over the past years. Our champion tenor, Mark Coso, is declaring on his innings with Lockout. After Newcastle, Mark is taking a break from all things barbershop to allow him to focus on other things in life. So, you may wonder, where does this leave Lockout? Well, as previously planned, we’ll still be all over the Newcastle convention like a donkey on a waffle, hosting the John Little Show, performing our Swan Song before the Quartet medals are announced and hosting Friday night’s Quartet Finals Afterglow (10pm @ The Brewery). However, very excitingly, singing tenor for our international qualifying set, and moving forward with the quartet, is none other than Alex Morris. Alex has been involved with Lockout since almost the very beginning, as one of our most trusted coaches and somewhat of a 5th member. Amongst the shock and sadness of Mark stepping aside, we can’t help but feel excited and optimistic about a bright future with Alex. Ali, Ash and Stefan want to publicly and lovingly thank Mark for his years of dedication to Lockout. There is no doubt we would not be who and where we are without his efforts and shared dreams. ARE WE STILL RINGING CHORDS, IN ACCORD? Are we current members of BARBERSHOP still ringing chords like we used to? Are we ringing as many chords in HARMONY with others as we used to? 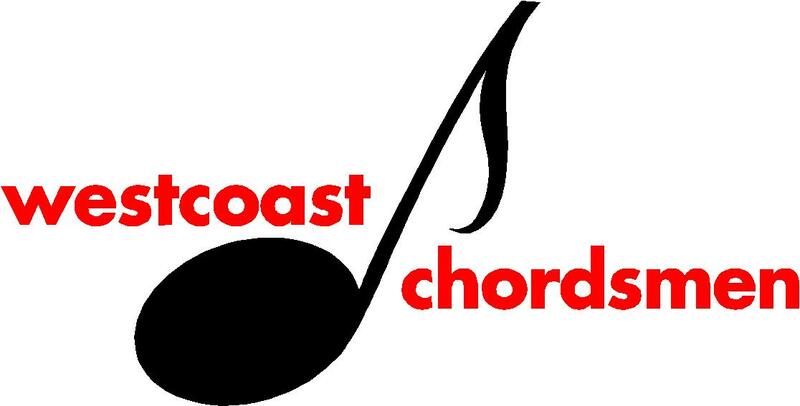 Are we ringing as many chords around AUSTRALIA with our friends as we used to? Many long-time AAMBS and BHA members think not! Some say that the nature of our association, especially our conventions, has changed. Some think that ‘competitiveness’ has allowed schisms and disharmony to develop between choruses and within our fellowship. The ‘Polecats’ used to cross over all chorus repertoires enabling four or more Barbershoppers from anywhere around the country (or the world) to ring chords together wherever they met. Some choruses look on the ‘Polecats’ with disdain and their members know only a few. ‘Mass Sing Outs’ and other communal events become less interesting and less relevant to them. Does BHA encourage learning ‘Polecats’? Should BHA encourage its members to take part in Barbershop Harmony Society’s ‘Barberpole Cats Program’ so we all earn a BHS ‘Barberpole Cat’ certificate and badge. Maybe each year, all BHA choruses could learn a ‘contemporary’ song? The same song, using the same arrangement with the same interpretation! A contemporary song, still in the Barbershop style but a ‘Non-contestable’ song so it didn’t become ‘hackneyed’ by overuse in competitions?? After a few years we would all have some ‘up to date’ songs in our repertoires which could be sung anywhere. Songs that the public would recognise and maybe sing along with. - possibly attracting young singers to Barbershop! Ringing chords in public with singers other than your own chorus friends, adds an exciting and fun dimension to singing; it promotes the camaraderie which is unique to Barbershop. The more people we will entertain, the wider we will share our Barbershop art form and the more enjoyment we will get from it. For some years, older members have been saying that the nature of our ‘Afterglows’ has changed! That ‘Afterglows’ are not as ‘inclusive’ (especially for new and less experienced singers), are not as much fun, and are not as well attended as in years past. Some say that bed is often more inviting than an ‘Afterglow’! Choruses sometimes retreat to their own accommodation just so they can sing songs they know. Successful ‘Afterglows’ are essential to maintain strong spirit of fellowship and friendliness within our movement and to encourage more interaction and stronger ties between singers and choruses. Maybe we could ‘Brainstorm’ this within our own choruses and regions then share our thoughts and ideas with others?